TMRE takeaway… are the bad things easier to remember? I was at TMRE in Nashville two weeks ago… beautiful venue, terrific networking events, big exhibit hall, good educational sessions, world-class keynote speakers. But that’s not what I remember most. My two big takeaways from the event are both bad… and it’s not just me, I heard numerous people talking/ranting about these. 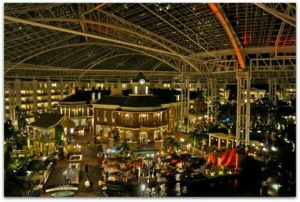 First, the Gaylord Opryland Hotel was HUGE (2,800 rooms, 5 acres under glass, multiple restaurants, etc.) and for many attendees, it took 15 minutes to get from their sleeping room to the meeting rooms. The layout of the hotel was also crazy-confusing and we were constantly getting lost. Worse yet, several attendees could not get into the sessions they thought they had paid for! According to those who were shut out or who had to pony up an extra $1,000 (!) at the registration table, IIR did a lousy job of clearly communicating what was included in their bundled registration packages. Sad, isn’t it? All those positive things… but what you remember are the one or two things that leave a bad taste in your mouth about the entire experience. Now think about your firm… and all the things that you do really well. Think about all of the touch points in your project lifecycle – the kick-off call, touching base during the execution, the final report, the presentation, the follow-up. Are each of them buttoned-up and nailed down? Look at what you do through a critical lens… where can you get better? It also applies to your marketing & sales – an engaging website, compelling emails, professional sales calls, great capabilities presentation, hit-the-nail-on-the-head proposal and so on. Is there room for improvement?